India has prepared its National Implementation Plan and submitted the same to the Stockholm Convention Secretariat. As per Article 7 of the treaty development of the National Implementation Plan (NIP) of the Stockholm Convention on Persistent Organic Pollutants (POPs) is required by all the parties. It is to demonstrate how the obligations under the Convention would be implemented and discusses how Parties aim to meet their obligations under the treaty. The Convention entered into force on May 17, 2004. India signed it on May 14, 2002. It ratified it on January 13, 2006. It came into force for India on April 13, 2006. The treaty can ban chemicals currently in use, not only the obsolete and redundant ones. The chemical industry has expressed concern about the listing of its persistent organic pollutant (POP) products. The objective of the Stockholm Convention on Persistent Organic Pollutants is to protect human health and the environment from POPs. The treaty requests parties to protect the citizens and the environment from POPs through activities stipulated in the articles of the treaty. Governments have agreed to list all the chemicals recommended by the POPs Review Committee (POPRC) because the evaluation process is comprehensive and meet convention obligations under Article 8. 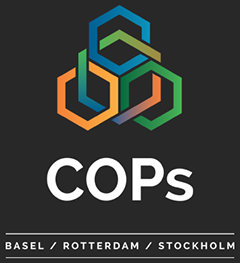 The main problem with the decision-making process at Conferences of the Parties (COPs) is not that chemicals in use are listed but that the POPRC’s work and its recommendations limiting the scope of exemptions are often ignored. The COP8 meeting illustrates it. Short-chain chlorinated paraffins (SCCPs) form a class of industrial chemicals primarily used in metalworking but also as flame retardants and softeners in plastics, including children’s products. SCCPs adversely affect the kidney, liver and thyroid, disrupt endocrine function and are anticipated to be human carcinogens. The POPRC recommended listing them in the treaty without exemptions, due to the availability of feasible alternatives. Governments at COP8 proposed a wide-ranging series of exemptions that effectively cover all known uses of SCCPs. The treaty listing does represent an important five-year global phase-out of a very harmful chemical, but there was a clear disconnect between POPRC evidence that vegetable oil is a key substitute for the substances in metalworking and granting an exemption for this use, along with many others. DecaBDE is a serious example of a listing process getting sidetracked by unjustified exemptions. For example, an exemption was granted for the use of decaBDE in polyurethane foam for building insulation, but the POPRC had no evidence that the substance is used for this purpose. The exemptions for the automotive and aviation industries shows how conventional phase-out period of five years has been expanded to 2036. Such extensive exemptions will result in the continued production and use of decaBDE, a substance that strongly resembles polychlorinated biphenyls. The aviation industry’s decaBDE exemption shows what happens when companies that have already phased out POPs ignore the Stockholm Convention. COP 8 agreed that governments that seek exemption for decaBDE or SCCPs should justify their need for it by December 2019. Two countries have withdrawn a proposal to permit the recycling of materials containing decaBDE. Recycling plastic products containing POPs also contaminates new products. The treaty prohibits POP recycling and the POPRC warned against the practice, noting continuing human and environmental exposure and the loss of the credibility of recycling. The current toxic recycling exemption for commercial pentaBDE and octaBDE allows this bad practice to continue until 2030. In countries like India decision making on exemptions bring POPs across borders legally amidst a flood of products, causing ongoing exposure. It will create difficulty in complying with the treaty’s waste provisions, since it cannot identify which products contain POPs. Even if they could identify them, many do not have the capacity to destroy them as per law's requirements. 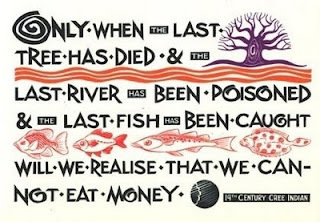 India remains caught in such vicious circle of poison. India’s NIP development includes conducting POPs inventory preparation, establishment of required national infrastructure and the capacities for its realization. While decisions on exemptions appear abstract and intangible the fact is that such exemptions pose harm to human health through food chain. The joint Conferences of the Parties of the Basel, Rotterdam, and Stockholm Conventions took place in Geneva from 24 April to 5 May, 2017. The note below draws on information shared on IPEN list serve. It explains a few key points that emerged from the separate meetings of the three treaties in general and Basel Convention and Ban Amendment to it in particular. Governments added short-chain chlorinated paraffins (Short-chain chlorinated paraffins-SCCPs) to the treaty for global elimination along with a variety of five-year exemptions. SCCPs are toxic industrial chemicals used in metal cutting and also in PVC consumer products. Governments added DecaBDE to the treaty for global elimination along with a variety of five-year exemptions and longer exemptions for new and old vehicle parts and aircraft. A proposal for a recycling exemption was defeated. DecaBDE is flame retardant and prominent component of e-waste. Governments added hexachlorobutadiene, a chemical formed unintentionally, including during chlorinated solvent production and incineration, to Annex C of the treaty to reduce releases with the goal of elimination. The meeting adopted weak waste limits, but kept alive more protective limits as an option for HBCD and the commercial mixtures of PentaBDE and OctaBDE. Stockholm COP8 encouraged regional centers to work on the impact of plastic waste, marine plastic litter, microplastic, and measures for prevention and environmentally sound management. Stockholm Convention COP8 admitted that the recycling exemption likely contaminates children’s toys and urged governments to ensure that flame retardants are not introduced into products that would pose a risk of human exposure such as children’s toys. Basel Convention COP13 established a household waste working group which will develop a guidance document on the environmentally sound management of household waste including best practices; mechanical biological treatment, energy recovery, management of sanitary landfills and compartmentalization to deal with various waste streams. The Convention entered into force on May 5, 1992. India signed it on March 15. 1990. It ratified it on June 24, 1992. It came into force for India on September 22, 1992. The Basel Convention extended the mandate of the group working on environmentally sound management of waste to develop manuals on extended producer responsibility, financing systems, insurance and liability; conduct five pilot projects on the topic; and develop a guidance document on efficient strategies for the recycling and recovery of hazardous and other wastes and how to address the environmentally sound management of wastes in the informal sector. Carbofuran, trichlorfon, SCCPs, and tributyl tin were all listed in Annex III of the Rotterdam Convention, making them subject to the treaty’s prior informed consent procedure. Chrysotile asbestos, fenthion, paraquat, and carbosulfan were all blocked from listing in the Rotterdam Convention even though there was consensus agreement that they met all criteria for addition to the treaty. Rotterdam Convention came into force on February 24, 2004. India signed the accession on May 24, 2005. It entered into force for India on August 22, 2005. The Basel Convention adopted a guidance document focusing on waste prevention, minimization and reuse. The document includes measures such as information on chemicals in products, green procurement, and extended producer responsibility. The expert working group will continue and gather good practices and examples with regard to waste prevention and minimization. It is noteworthy that Ban Amendment to Basel Convention has not come into force as yet although it was adopted on September 22, 1995. As per 17 (5) of the Convention which reads as follows: "Instruments of ratification, approval, formal confirmation or acceptance of amendments shall be deposited with the Depositary. Amendments adopted in accordance with paragraphs 3 or 4 [of article 17 of the Convention] shall enter into force between Parties having accepted them on the ninetieth day after the receipt by the Depositary of their instrument of ratification, approval, formal confirmation or acceptance by at least three-fourths of the Parties who accepted them or by at least two thirds of the Parties to the protocol concerned who accepted them, except as may otherwise be provided in such protocol. The amendments shall enter into force for any other Party on the ninetieth day after that Party deposits its instrument of ratification, approval, formal confirmation or acceptance of the amendments.” In accordance with paragraph 3 of Article 25 of the Basel Convention, applicable mutatis mutandis to amendments of the Convention, for the purpose of entry into force, any instrument deposited by a political and/or economic integration organization shall not be counted as additional to those deposited by member States of such organization. Accordingly, as a regional economic integration organization, ratification by the European Union does not count in addition to the ratifications by Member States of the Union for the purposes of entry into force of this instrument. By decision III/1, of 22 September 1995, the Third meeting of the Conference of the Contracting Parties to the above Convention, which took place in Geneva from 18 to 22 September 1995, adopted an Amendment to the Convention (including the adoption of Annex VII). Basel Protocol on Liability and Compensation for Damage Resulting from Transboundary Movements of Hazardous Wastes and their Disposal Basel adopted on December 10, 1999 also awaits ratification for it come into force. As per Article 29, "1.The Protocol shall enter into force on the ninetieth day after the date of deposit of the twentieth instrument of ratification, acceptance, formal confirmation, approval or accession. 2. For each State or regional economic integration organization which ratifies, accepts, approves or formally confirms the Protocol or accedes thereto after the date of the deposit of the twentieth instrument of ratification, acceptance, approval, formal confirmation or accession, it shall enter into force on the ninetieth day after the date of deposit by such State or regional economic integration organization of its instrument of ratification, acceptance, approval, formal confirmation or accession. 3. For the purpose of paragraphs 1 and 2 of this Article, any instrument deposited by a regional economic integration organization shall not be counted as additional to those deposited by member States of such organization". Although the parent treaty Basel Convention came into force on May, 1992. It is being undermined by bilateral free trade agreements of the parties. Thanks for sharing beautiful with us. I hope you will share some more info about Implementation of Stockholm Convention on Persistent Organic Pollutants (POPs) in India & outcome of triple CoP. Please keep sharing!